While the CBI chief can go back to his office, he has been restrained from taking any major policy decision. 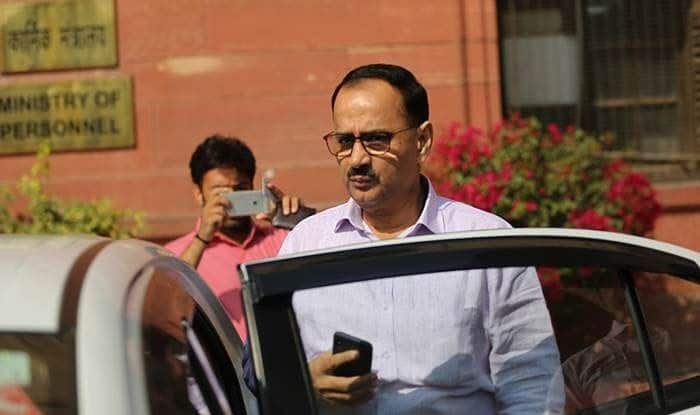 New Delhi: Setting aside the government’s order to divest him of powers, the Supreme Court on Tuesday reinstated CBI Director Alok Kumar Verma. While the CBI chief can go back to his office, he has been restrained from taking any major policy decision till the selection committee, comprising Prime Minister Narendra Modi, decides on his status within a week. The apex court said any further decision against Verma, who was sent on leave following the Centre’s October 23 decision and retires on January 31, would be taken by the high-powered committee which selects and appoints the CBI director. The top court said the high-powered committee will take its decision on the basis of the findings of the Central Vigilance Commission inquiry. It said the meeting of the committee should be convened within a week. The judgement was penned by Chief Justice Ranjan Gogoi. However, the CJI didn’t attend court and it was pronounced by Justices S K Kaul and K M Joseph. The apex court also set aside the Centre’s decision to appoint senior IPS officer M Nageswara Rao, who was joint director, as the agency’s interim chief. With the verdict, the apex court has set aside the Centre’s October 23 decision divesting Verma as CBI chief and sending him on leave. Verma’s two-year tenure as CBI Director ends on January 31. He has moved the top court challenging the Centre’s decision. Verma sought quashing of three orders of October 23, 2018 — one by the CVC and two by the Department of Personnel and Training (DoPT) — as being without jurisdiction and in violation of Articles 14, 19 and 21 of the Constitution. Rao, a 1986 batch Odisha-cadre IPS officer, was given the charge of interim chief of the probe agency. The Centre said Verma and Asthana were fighting like “Kilkenny cats”, exposing the country’s premier investigating agency to “public ridicule”. Reacting on the verdict, Finance Minister Arun Jaitley said that the government took the decision to protect the integrity of the investigative agency and described the action as “perfectly bonafide”. “The government took this decision to protect the integrity of the CBI… Government took the action of sending two senior officers of CBI on leave on CVC’s recommendation,” he said. “This action taken was perfectly bonafide as there were cross-allegations made by both the officers, and in accordance with recommendations of the CVC. The government felt that in the larger interest of fair and impartial investigation and credibility of CBI, the two officers must recuse themselves,” the finance minister said. Jaitley also pointed out that the government’s decision on the issue was not against any particular individual. On the other hand, Congress president Rahul Gandhi said that no one can save PM Modi from Rafale investigation and the entire nation will know “without a shadow of doubt” that he has taken Rs 30,000 crore of people’s money and given it to his “friend” Anil Ambani. Speaking to reporters outside Parliament, Gandhi said the CBI chief was “ousted” at 1 AM as he was about to begin an investigation into the Rafale jet agreement and Prime Minister Modi and his government cannot run away from a probe into the deal. “The CBI chief was ousted at 1 am in the night because he was about to begin a probe into the Rafale deal. The CBI chief has been reinstated and we have got some relief. Now let’s see what happens,” he told reporters. “They cannot run away from Rafale, it is impossible. Modi ji ran away from a debate. He should have discussed with us the Rafale issue, in the people’s court. No one can save them from Rafale, as Rafale is the truth. No one can run away from the truth,” he said.